It’s fantastic to have an online portfolio website to showcase your interior design work, but to develop a website without a web developer is difficult, especially if you do not know anything about coding and how to create a website with CMS (Content Management System). WordPress is a miracle, it’s an open source web builder that allows you to build a multipurpose website in short time with minimal coding. 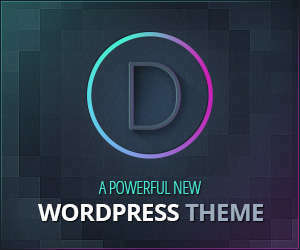 Other good news is there are a lot of afwesome WordPress themes that you can use and download for free. 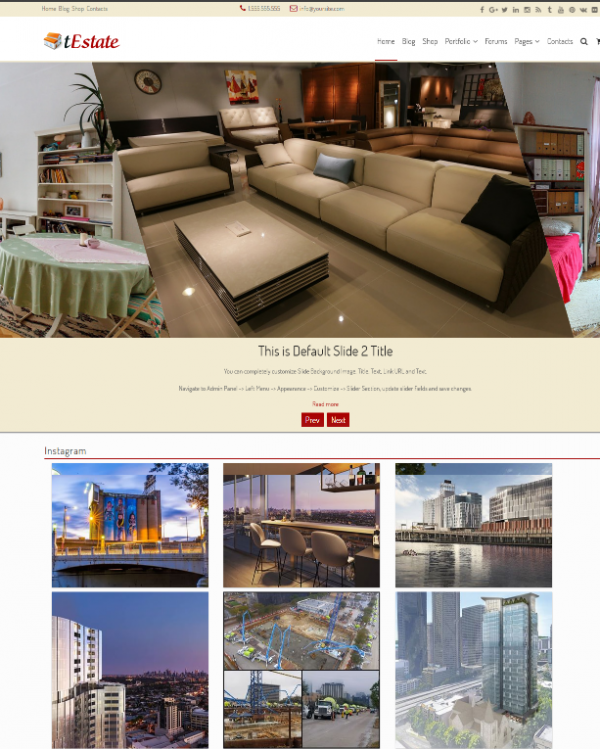 If you go to wordpress.org’s theme directory, you will find a various themes for architecture, exterior and interior design, home decoration, building, etc. Most of them has an image slider feature to display your photos / galleries and responsive layouts that make your website look adaptable to mobile view. 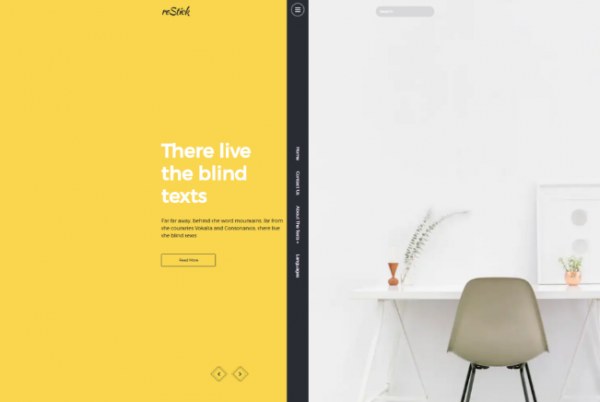 To facilitate you in finding the best theme for your site, in this post we have collected interior design wordpress themes that you can use for free. This theme is easy to customize and use even if you are not a web developer. 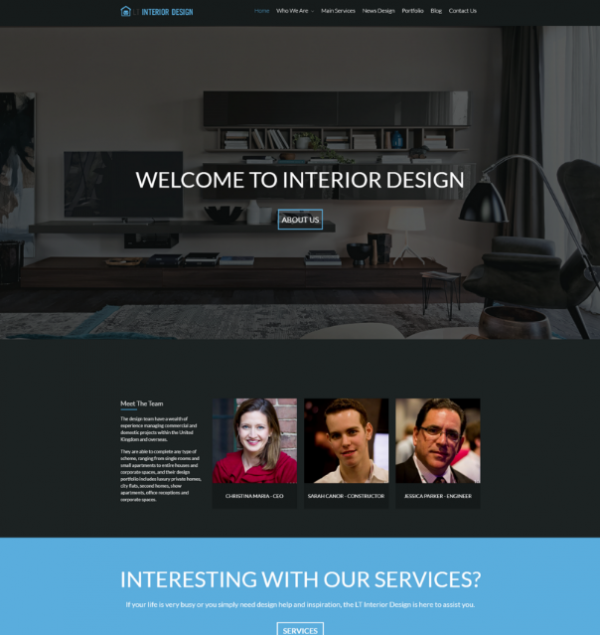 LT interior design is beautiful wordpress theme that you can download for free. The look of this theme clean and modern that are very suitable for businesses to showcase their luxury interior design. Key Features: drag n drop, unlimited color, bootstrap framework, responsive design. 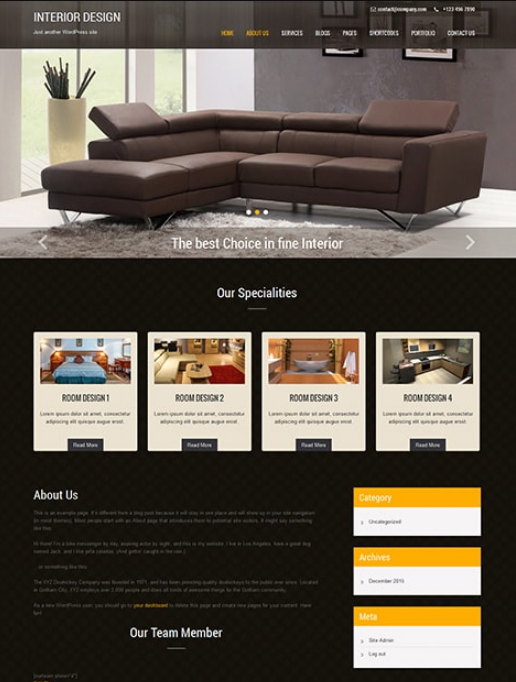 Mello is eCommerce wordpress theme that you can use to create interior design retailer website. 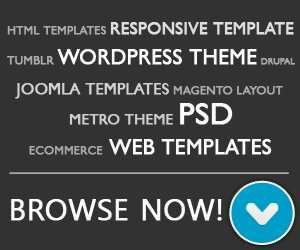 This theme include big slider to feature your product and service and simple layout design. Key Features: Fully responsive, color schemes, Optimized SEO, WooCommerce supported. 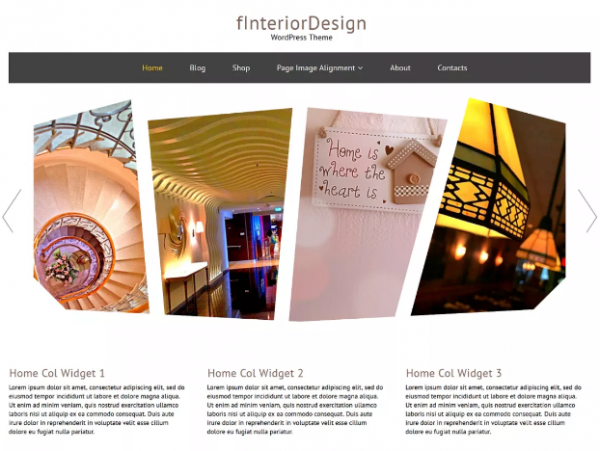 fInteriorDesign is a free interior design theme that you can use to build architect website, decoration, furniture store and other similar businesses. Integrated Font Awesome and cross browser compatible. Key Features: responsive, translation ready, image slider, drop down navigation menu. 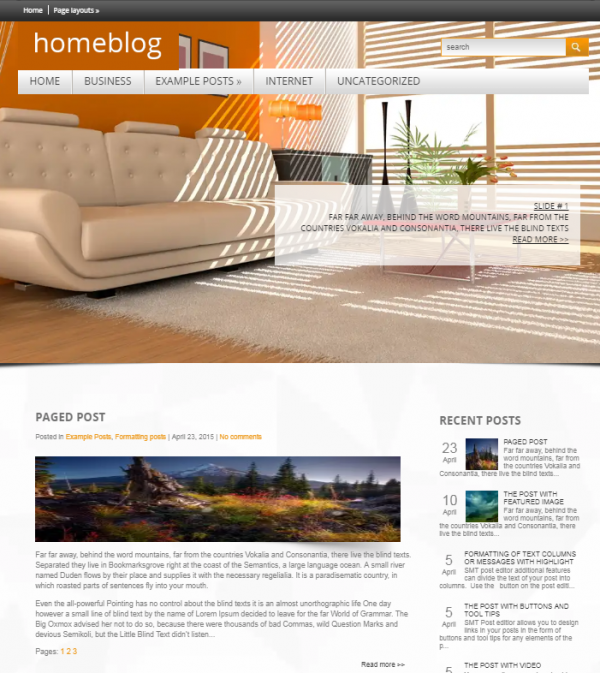 Homeblog is minimalist free wordpress theme for interior design. Built-in image slider for your featured / sticky post, 2 column layout with custom sidebar and multicolor related posts. Key Features: WooCommerce, Google Maps, optimized for SEO, Antispam. 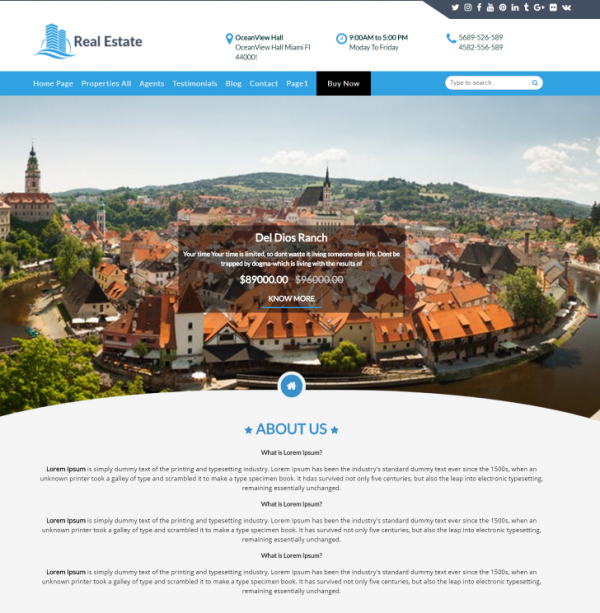 Construction real estate WordPress theme is suitable real estate agents, real estate brokers, painters and interior design portfolio. It’s a mobile-friendly theme, it gives a cutting-edge performance on every screen size. Absolutely free to download and easy to customize. Key Features: Clean look, slider, well-coded theme, SEO friendly. reStick is another great free theme which specifically designed to showcase your portfolio in simple website. This theme is perfect for interior design workshop and decoration, it’s has a minimalist look and simple website navigation. Key Features: social media, simple, fully responsive, powerful theme framework. fEstate is fully responsive WordPress theme designed for real estate and architecture design websites. Key Features: Custom background, drop-down menu, cross browser compatible. 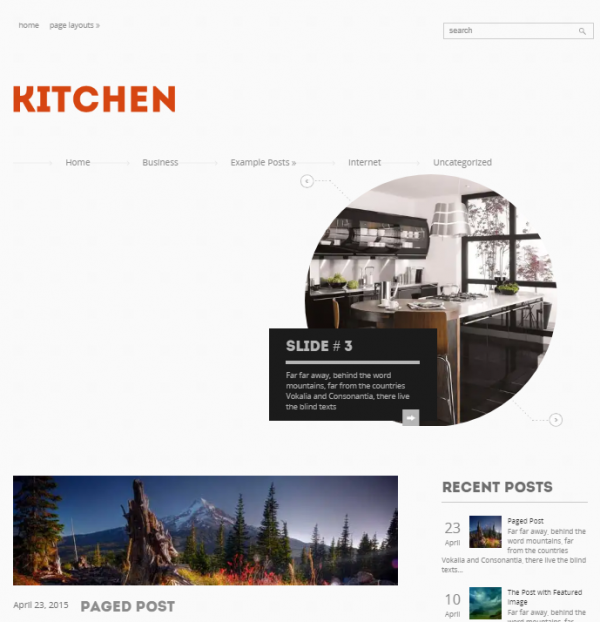 Kitchen interior WordPress theme come with white color which make your site look very clean look and feel. The color also makes the theme look very compact and organised, giving the design an added layer of uniqueness. 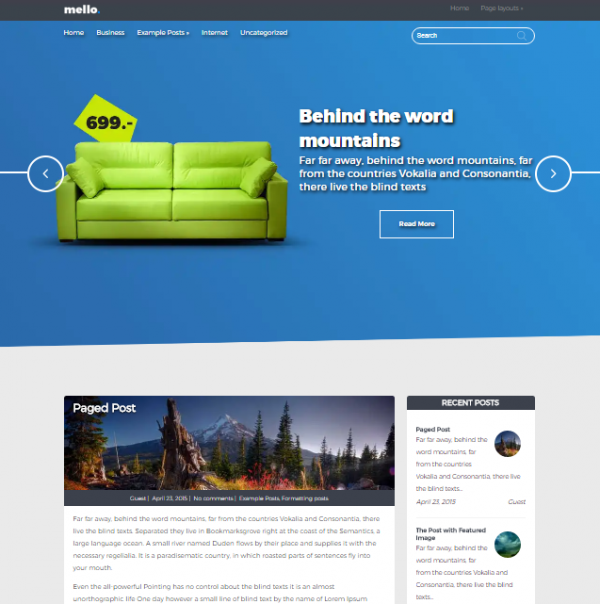 Interior Lite is elegant free wordpress theme with responsive design, designed for interior and exterior home design website and easy to set up. Compatible with several plugin such as: contact form 7 plugin, Yoast SEO and nextgen gallery. Key Features: Include blog and static page design, WooCommerce compatible, editable header and Social media. 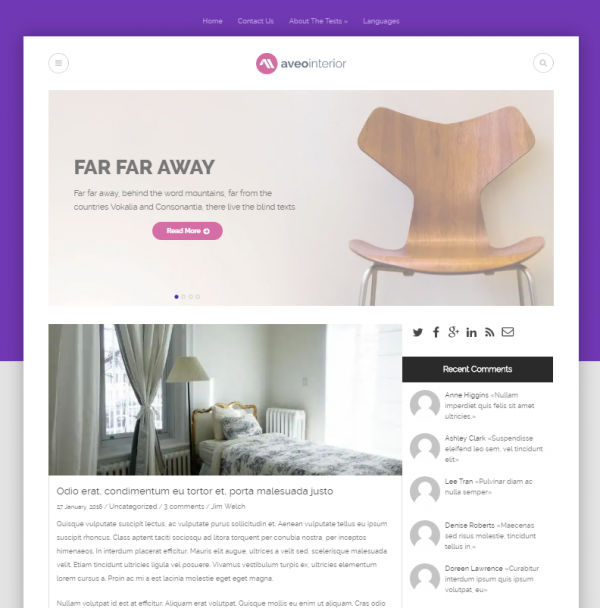 Aveo Interior is another free wordpress theme with elegant and modern look, it’s perfect theme to showcase your portfolio, architect, interior design and more. Key Features: unique slider, optional widgets , responsive and easy to customize.